When you want to have a vehicle that can certainly bring you the drive and the feel of a car that’s a coupe or a convertible while also being a fun-loving little car that’s efficient, the Fiat 500c can be the right choice for you. This is a playful little car that allows you to enjoy the drive around town and give you the quality performance you want from place to place when you lease this car and make use of it on the roads around Broadview Park, FL. Not everyone needs a massive performer with tons of horsepower. If you’re someone that would rather drive a subcompact that fits everywhere while giving you the personality you admire, the Fiat 500c is the right choice for you. 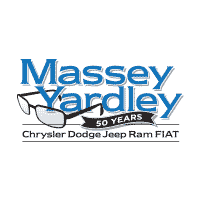 Make your way to the dealership of Massey Yardley Chrysler Dodge Jeep Ram Fiat in Plantation, FL and take a look at the lease offers you can choose from. This is a car that offers you tons of colors to choose from and the ability to have a convertible if you want for the driving you do on the roads in Broadview Park, FL. The newest version of the Fiat 500c that you want to lease and enjoy on the roads in Broadview Park, FL offers you three trims which are Pop, Lounge, and Abarth. The options that were offered in the past are now packaged into the trims and some can only be ordered a la carte to be added to any trim, which gives you more choices and a great way to make this car personal for you. You can also have the convertible on any trim while the Abarth has standard rear parking assist for the added safety feature you want to enjoy. You might think that a small car from Fiat would have a convertible top that was more like a cloth screen and barely worth mention, but you’d be wrong. The 500c convertible model has a power convertible top that is a canvas roll to open up the cabin and allow you to enjoy the ride. This top can be opened at speeds up to sixty mph to give you plenty of ways you can enjoy the open air when you’re driving. Let this be the version you lease and enjoy on the roads you drive every day in Broadview Park, FL. If you’re looking for a small car that has the compact size but a massive personality the Fiat 500c could be the car you’re looking for. This can be the model you want to lease and drive on the roads in Broadview Park, FL so that you can have some fun and experience small car driving. Come in and see the team at Massey Yardley Chrysler Dodge Jeep Ram Fiat in Plantation, FL and make this the car that you choose from this team so that you can have the right car for the drive you need to make.